Earlier this month (11th April), the European Commission announced its New Deal for Consumers proposal, an initiative which aims to ensure that all European consumers fully benefit from their rights under EU legislation. According the European Commission’s press release, the EU already has some of the strongest rules on consumer protection in the world, however recent scandals such as Dieselgate have shown that it is difficult to ensure them fully in practice. It is hoped that the New Deal for Consumers will empower qualified entities to launch representative actions on behalf of consumers and introduce stronger sanctioning powers for Member States’ consumer authorities. It is also meant to extend consumers’ protection when they are online and clarify how EU law prohibits dual quality practices that mislead consumers. The New Deal for Consumers is not a reality yet. The next step will be for the proposal to be discussed by the European Parliament and the Council. What changes will the New Deal for Consumers proposal potentially bring about? More transparency in online marketplaces – when buying from an online marketplace, consumers will have to be clearly informed about whether they are buying products or services from a trader or from a private person, so they know whether they are protected by consumer rights if something goes wrong. More transparency on search results on online platforms – When searching online, consumers will be clearly informed when a search result is being paid for by a trader. Online marketplaces will also have to inform the consumer about the main parameters determining the ranking of the results. New consumer rights for ‘free’ digital services – When paying for a digital service, consumers benefit from certain information rights and have a 14 days to cancel their contract (withdrawal right). The New Deal for Consumers aims to extend this right to ‘free’ digital services for which consumers provide their personal data, but do not pay with money. This typically would apply to cloud storage services, social media or email accounts. Representative action – Under the New Deal for Consumers it will be possible for a qualified entity, such as a consumer organisation, to seek redress, such as compensation, replacement or repair, on behalf of a group of consumers that have been harmed by an illegal commercial practice. In some Member States, it is already possible for consumers to launch collective actions in court, but now this possibility could be available in all EU countries. Better protection against unfair commercial practices – The New Deal for Consumers aims to ensure that consumers in all Member States have the right to claim individual remedies (for example, financial compensation or termination of contract) when they are affected by unfair commercial practices, such as aggressive or misleading marketing. This protection currently varies greatly across the EU. In cases where a large group of consumers have been affected, the New Deal for Consumers will result in national consumer authorities having the power to impose effective, proportionate and dissuasive penalties in a coordinated manner. For widespread infringement that affect consumers in several EU Member States, the available maximum fine will be 4% of the trader’s annual turnover in each respective Member State. Member States are free to introduce higher maximum fines. The New Deal for Consumers will remove unnecessary burden for businesses. This includes lifting obligations on companies as regards the consumer’s withdrawal right. For instance, consumers will no longer be allowed to return products that they have already used instead of merely trying them out, and traders will no longer have to reimburse consumers before actually receiving the returned goods. It is also planned to have more flexibility in the way traders can communicate with consumers, allowing them to also use web forms or chats instead of email, provided the consumer can keep track of their communication with the trader. 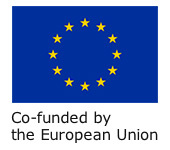 For more information check out the European Commission’s New Deal for Consumers webpage here.